POSTS What’s the Best Rowing Machine for Tall Person? Rowing machines provide you with incredibly intense workouts that can help you reach your fitness goals faster. However, tall people have struggled trying to find rowing machines that are big enough for them. If you find yourself in the same boat, you’re in the right place. I highly recommend the Concept2 Model D as the best rowing machine for a tall person. Everything from the inseam measurements and handle position, to the height of the monitor suits taller people well. I’ve reviewed the WaterRower A1 for tall people who are interested in using a water rower. 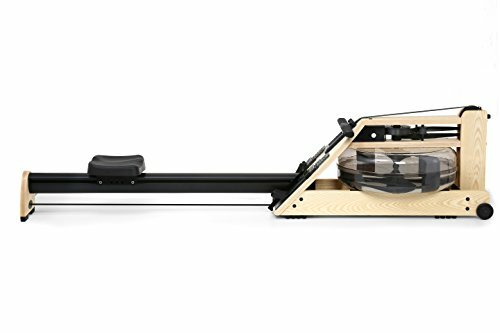 A more affordable pick, the LifeSpan RW1000, is also included in this review for taller rowers who are on a tighter budget. 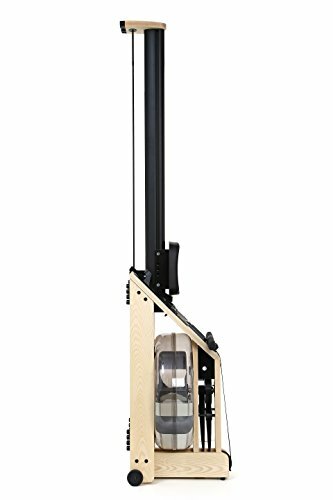 The Concept2 Model D has an impressively long monorail and height adjustable monitor. These features, in combination with the handle and foot pedal design, make it the best rowing machine for a tall person. I was glad to find that there’s a monitor available with this rowing machine. 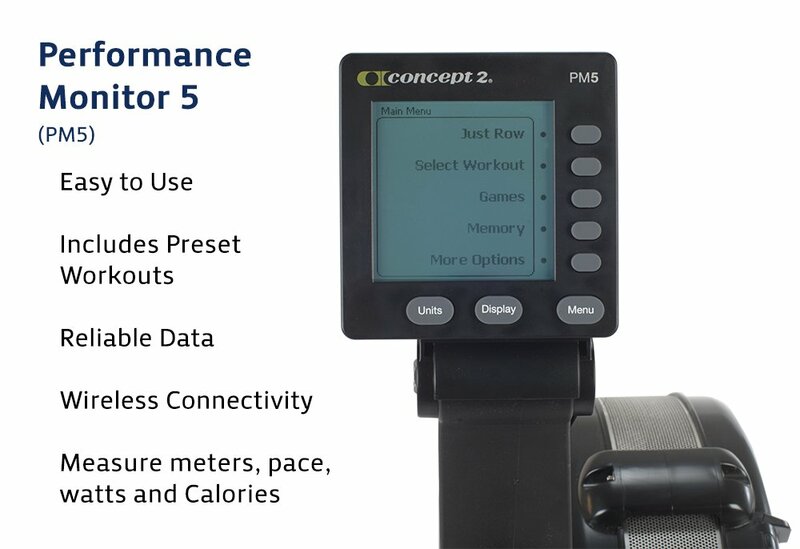 It’s a Performance Monitor 5 and it allows you to track your progress easily and with incredible accuracy. It provides you with real-time feedback on that stats of your workout. You can wirelessly connect it to heart rate accessories to gauge a better understanding of your pulse. (The heart rate belts would need to be purchased separately). Rowing machine workouts have been shown to significantly reduce body fat. So, staying on top of your workout progress will make achieving these results more likely. If you’re tight on space, you’ll appreciate the space saving design available. You can simply split the rowing machine into two separate pieces. There are caster wheels equipped to the bottom of each piece. Therefore, moving it around and putting it in storage is hassle-free. There are only eight screws that you need to fit to assemble this rowing machine. The instructions included make this process simple and quick. I was surprised to discover that the Concept2 Model D can connect to various fitness apps. This provides you with more options in getting the most out of each workout as you have a huge variety to choose from. For some competitiveness, there are even online rankings available. This is awesome for some friendly competition that can enhance your fitness results. One of the most common problems that taller people run into with rowing machines is the handle design. The handles are often positioned in line with your feet – and that’s the maximum they can go. This is a no-go for tall people. They’re not able to achieve a full range of motion. 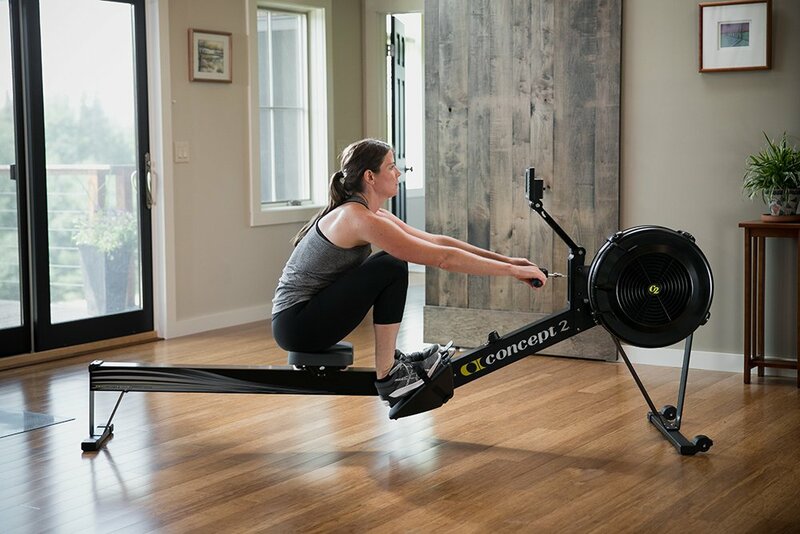 The fact that the handles are designed to be further than the foot pedals was one of the main features that attracted me to the Concept2 Model D. This is because it ensures you have plenty of reach to get a full range of motion with longer arms. Moreover, there’s a monorail extension bar available too. This enables you to increase the overall length of the rowing machine by 5”. So, you’re able to row with a maximum length of 59”. This is suitable for people who are 7’ or taller! 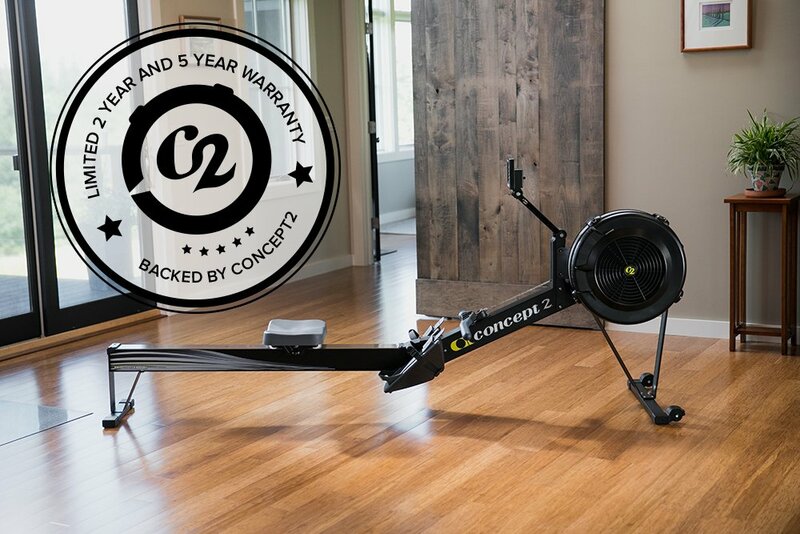 While the Concept2 Model D is under the $1,000 range, that’s still too expensive for some people. That’s why I took some extra time to research the best rowing machine for a tall person, that doesn’t break the bank. Maybe you’re just after a good deal and you don’t need the technology featured with the Concept2 rowing machine. The LifeSpan RW1000 was the number one cost-effective rowing machine for tall people that I could find. I liked how the frame has been made using strong steel materials. It ensures that the rowing machine is sturdy enough to last you for a long time ahead. When fully assembled, it measures in at 90 x 18.5 x 23”. However, if you’re looking to save some space in your home, you’ll be glad to know that it features a folding design. Once you fold this rowing machine up, it’s a much more compact 34 x 19 x 64” in size. This makes it a lot easier to store away when it’s not being used. With an LCD display, you’re able to see all the information about your workouts. This includes the number of calories burned, distance, time, and strokes. As a result, you’re able to easily keep track of your progress. This makes it more likely for you to remain consistent with the workouts. The monorail is a total of 53” in length. That’s only an inch shorter compared to the Concept2 Model D. So, you’re getting virtually the same amount of leg room for around half the price. Moreover, the length of the inseam is 38”. This is 1” longer than the inseam measurements on the Concept2. I liked how the design of the LifeSpan RW1000 was created specifically for tall people. The back is lower than the front end, which provides you with a longer inseam length. This makes the rowing machine feel comfortable for tall people to use. 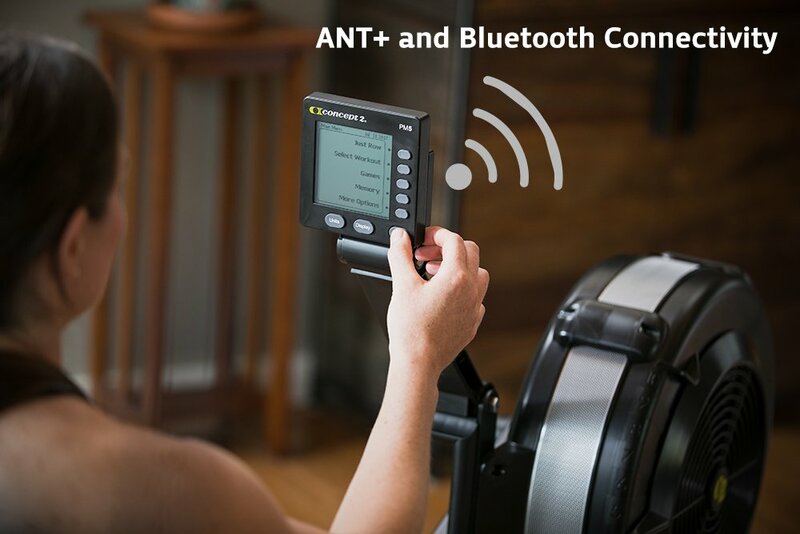 To get a more in-depth view on the RW1000 rowing machine, as well as others, take a look at our review for the best rowing machines for under 500. 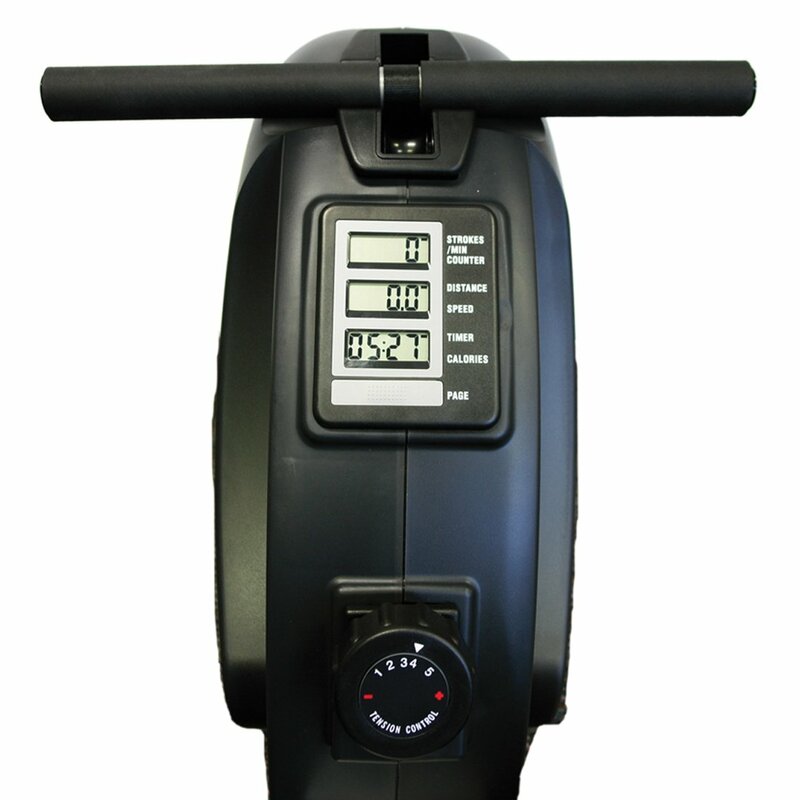 WaterRower is the biggest brand when it cmes to rowing machines that are powered by water. I recommend the A1 Series if you’re a tall person looking for the most realistic feeling of rowing in the water. It works to mimic what it’s like to row on the water via the turn blade inside the water tank. The difficulty and resistance depend on how intensely you decide to row – which works just like a real row boat. Through my research, I found that customers were very pleased with how comfortable this rowing machine feels. This comfort largely comes from the design of the seat. You can row for long durations of time in comfort. Furthermore, the handles feel great to hold onto and don’t cause any discomfort. Maintaining this water rower is super easy. To keep the water in the tank, you can just stand it in an upright position. I also liked how keeping the water clean is easy. Chlorine tablets come with the rowing machine. All you need to do is add one tablet after every 4-6 months, and that’s it! Since this rowing machine operates with water, the sound disturbance is low. You can still hear the water moving around due to the spinning blade, however, it’s a lot quieter compared to air and hydraulic machines. The maximum inseam length that comes with this A1 Series is 39”. This is incredibly long and provides you with plenty of room to row. I discovered that the M1 Series by WaterRower was the only other option that had a longer inseam length. However, you only get 1” more and you’d have to pay nearly double the price. If your inseam length is longer than what a rowing machine offers, your range of motion will be shortened, and you’ll feel uncomfortable. So, be sure to know your inseam measurements before purchasing a rowing machine. Start off by putting yourself upright against a wall and keep your legs around 5” apart from each other. Use a measuring tape that starts from the top of your foot that ends at the bottom of your groin. The length is your inseam measurement. This is the number of inches there are between the foot pedals of the rowing machine to the seat. The Concept2 Model D is my number one pick because it offers such a wide range of benefits for tall people. With a longer-reach handle position, taller people will be able to get the best range of motion. You can extend the monorail to ensure that it’s great for people who are 7’ or taller. Not to mention, there are fantastic progress tracking and connectivity features that users have been praising. My final recommendation is for people who are looking to experience what it’s like to row on water. 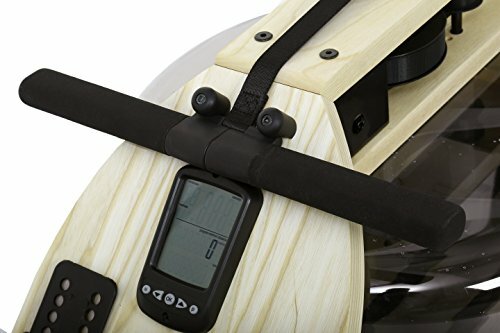 The WaterRower A1 model doesn’t have any display or additional features. It has a long inseam length, making it excellent for taller rowers. For male rowers in the US, the average height is 5’9”. Female rowers are an average of 5’3.5”. So, rowers are generally taller, but are still struggling to find rowing machines that suit them. If you’ve been in the same position, you can use this review to help you pick the best rowing machine for a tall person. 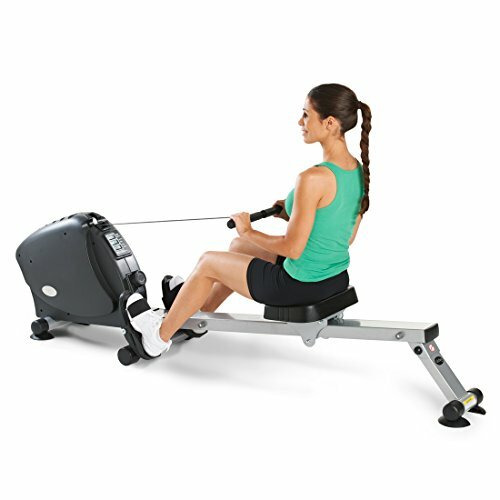 To learn more about the different kinds of rowing machines and the best ones in each category, click here.